Marburger Farm Antiques Show is a top show running during Round Top fortnight from from Tuesday 2nd thru Saturday 6th October. 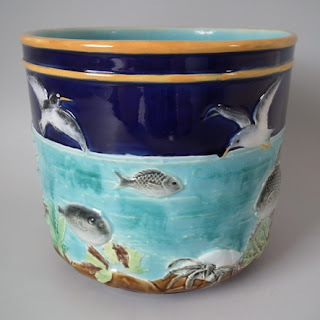 Madelena and David Tulk will have some "show-only" clearance bargains amongst a fantastic new selection of top Majolica, Staffordshire figures, English samplers and two choice examples of R Lalique glass. Location: Two miles south of Round Top, Texas, on Highway 237. Madelena Booth: The General Store. Most convenient parking via the Warrenton end Entrance. Best wishes from David, and from everyone at Madelena.